The portal of the out of body experience can be employed as a valuable technique for the expansion of the lower conscious and its associative mental application of perception. The ability for the relocation of perspective apart from the set designed center perspective of the human body falls into the context of remote viewing and remote influencing. The ability of the lower self to remote view its biological embodiment perceptually apart from the constricting influence of the human body, enhances the effectiveness of the remote influencing intention towards its human form for the observational effect of the desired intention. The expansion of consciousness is instant as the limiting factors of the human housing, creating the illusion of separation, are superseded as the awareness and perspective are operating in a perceptually foreign yet expansive mode of operation. A split in awareness can occur from this mental activity or what is termed bilocation. The ability of bilocation will create the seat of perspective to remain in its set design from its human center point as the awareness of the lower self has established a secondary and simultaneous seat of perspective positioned outside of the boundaries of the human body. The split in awareness may flow from the first seat of perspective into the secondary, through conscious intent or through the perception of automation, involving subconscious mental applications which will generate the movements to and from both seats of perspectives. The ability of bilocation of perspective can be achieved through the subconscious desire for simultaneous viewpoints for effective contrast of perspectives. It can also be achieved through the enhancement of repeated successful attempts of the out of body experience which create familiarity and a baseline for development. The ability of bilocation in perspective can evolve into multiple seat perspective and into the ultimate goal of unlimited perspective or what is termed as all or whole consciousness. The subconscious movement of perspective is fuelled through the emotional energy of held active desires participating in the relocation and bilocation of awareness and perspective. The held subconscious active desire can create the relocation of perspective, through a fear desire or through the high vibrational desire for exploration, outside the human body perspective which is the desire for the expansion of consciousness. The relocation of perspective fuelled through the emotional energy of fear falls into the context of various interpretations, through the self-aware perspective of fear resolvement attempts. The lower self which has initiated entry into the portal of the out of body experience, in a subconscious attempt for fear resolvement, has in most cases created the perception of exhaustion from multiple failed conscious fear resolvement attempts. The subconscious attempt of fear resolvement through a differential seat of perspective, created through the out of body experience, has opened a portal in which the lower conscious can explore through the expansion of its sphere of awareness. The successful subconscious attempt of relocation of the perspective of the lower self through the out of body experience creates mental reference frames apart from the collection and utilization of established reference frames currently operational within the lower conscious. The perceptually foreign reference frames will create a contrast towards the held subconscious reference frames. This activity holds the potential, through the mental application of contemplation, to form the ability of high intelligent discernment. The collected and established reference frames operating within the impression stage of the belief system from physical plane activities, in an attempt for fear resolvement, have initiated the out of body experience through the perception of desperation within the emotional spectrum of fear. The inability for entry into the portal of the out of body experience for the ability of conscious expansion is also fuelled through fear. The inability for the movement of thought into an alternate seat of perspective, is fuelled through the reciprocal effect, of the fear energy movement of contraction overriding the desire for the out of body experience. The movement of contraction which generates the perceptual barriers for the movement into an alternate seat of perspective is created through the fear of the unknown, which energetically confines the lower conscious into the desire for familiarity. The desire for familiarity is governed by established reference frames collected from the seat of perspective of the human awareness. The desire for the resolvement of the fear of the unknown must come forth through the expansion of consciousness, which in turn holds the ability to create a sense of relief with the lower conscious. The sense of relief of the fear of the unknown is established, through the integration of foreign reference frames, which create the expansion of familiarity coinciding within the expansion of consciousness. The allowance of entry of foreign reference frames into the impression stage of the belief system is created through the acceptance of the foreign reference frames. The allowance and establishment is generated through the mental application of contemplation and self-logic, which is involved in the ability of allowance and acceptance. The desire for entry into the portal of the out of body experience is formed through the recombinational effect of fear resolvement and the desire for foreign thought exploration. The held desire for fear resolvement within individual perspectives, accompanied by a constrictive desire to experience familiarity within limitations, will cause the lower self to remain in the familiar seat of the perspective of the human awareness. The held subconscious desire for fear resolvement without the desire for foreign exploration, can generate the movement of the lower self, into the accessibility of the portal of lucid dreaming. The ability to resolve fear based emotional energy generated through its associative thought and established reference frames through the ability of lucid dreaming holds the potential of fear resolvement through its successful application. The effectiveness of lucid dreaming is dependent on the degree and depth of impression of fear based themes housed within the belief system of the lower self. The attempt of fear resolvement through lucid dreaming would entail a continuous activity, as the collection of fear based themed reference frames, would create continuous negative subconscious influence, in which the attempts of the resolvement of fear through lucid dreaming would be considered temporal. The temporary effect is created through the cause of the negative subconscious influence holding a powerful influence over the lower conscious. The conscious desire to enter the mental portal to conscious expansion through the out of body experience involves held awareness into the subconscious and unconscious aspects of the lower conscious. The ability to perform the out of body experience requires the mental penetration of the perceptual barriers created through the self-containment influence of the human thought program. 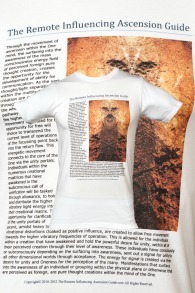 This design within the human program is required to create, the illusionary effect of the conscious human being, to create the perception of separation through the self-awareness perspective. The human thought program allows the higher self to experience the human perspective through the creation of the restricted conscious of the lower self. This is required to experience, through the human awareness, the energetic effect of polarization within the duality consciousness. The lowering of vibrational energy, which is the effect of the desire of the higher self to experience reality within the duality consciousness, and the theme of separation within situations presented within the sphere of awareness. The desire for entry into the portal of the out of body experience for conscious expansion is the effect of the loss of desire to experience the fear based themes within the duality consciousness. The loss of desire to experience dualistic themes is created through the desire subconsciously and or consciously to explore reality outside the low vibrational duality conscious. The desire for conscious expansion attracts the negative energy influence, in which the powerfully held desire for expansion holds the ability to transform the negative energy influence into its high vibrational positive state. The transformational process generates a simultaneous and reciprocal effect of the de-energizing of the negative energy influence and the energizing of the desire for conscious expansion generated through the emotional desire. The transformation of the negative energy influence into its positive state of energy for influence, involves the same process that holds the potential for entry into the portal of the out of body experience. These two activities require the lowering of the separational effect of the human housing, which is designed to create the self-awareness perspective. The self-awareness perspective involving the human awareness is a lower vibrational conscious operation to create vibrational compatibility within the vibrational spectrum of the duality consciousness. The lowering of the human thought program influence, involves the movement of consciousness within the human brain/mind/body sleep cycle. The ability of an individual to remain conscious, within the deeper levels of the alpha/theta/delta brain wave cycle, would allow the opportunity for conscious expansion through the dormancy of the human thought programs influence. The transformation of negative energy into its positive state for desired thought movement requires the ability of the lower self to remain conscious while the human body performs its sleep cycle. This activity creates a similar effect as the out of body experience, as the lower conscious holds the ability of freedom of thought movement, through the separational effect of the lower conscious, from its human housing creating the self-containment influence. The ability of the lower self to subconsciously and therefore consciously enter the portal of the out of body experience is a powerful influence for the expansion of the sphere of awareness. This process involves the expansion of perception through the ability to observe reality from multiple seats of perspective. 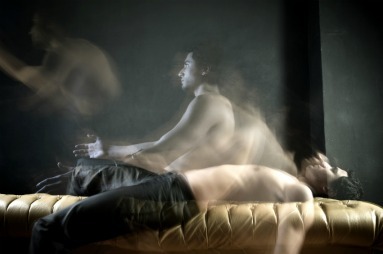 The remote viewing and remote influencing techniques that allow the individual to remain conscious within the subconscious and unconscious states of mind, are powerful agents of momentum, for entry into the portal of the out of body experience towards the infinite state of all awareness through all perspective.